I know I owe you a post. The reason why I haven't been in touch is that we (well, mostly my poor sister) have been working on my new website and we've been having some technical issues. I was hoping to have the site ready by now and that's why I haven't been posting anything. Well, it turns I need to wait for the site to be ready, so for now will be writing here. This post is dedicated to my lovely friend Sylvia, who I met in Bali. It doesn't include any photos as I prefer to keep Sylvia as anonymous as possible. I am skipping a little bit with my post, because something magical happened to me and I couldn't wait to tell you about it. 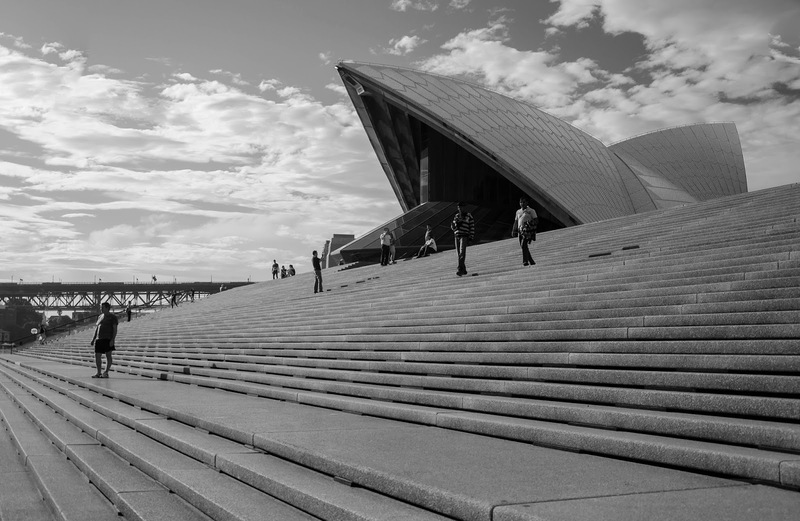 I had a few cloudy days in Sydney, and an overcast weather is the best for the black and white photos. Here is the result. What do you think? I'm in love! She is big, muscular, beautiful and doesn't talk much...Well, she doesn't actually talk at all. She also doesn't move. Yes, I'm in love with a building. To me there's nothing better in this world than laying on the beach, working on my suntan and listening to the waves and seagulls. Whenever I travel I tend to spend quite a lot of my time soaking up the sun rays. 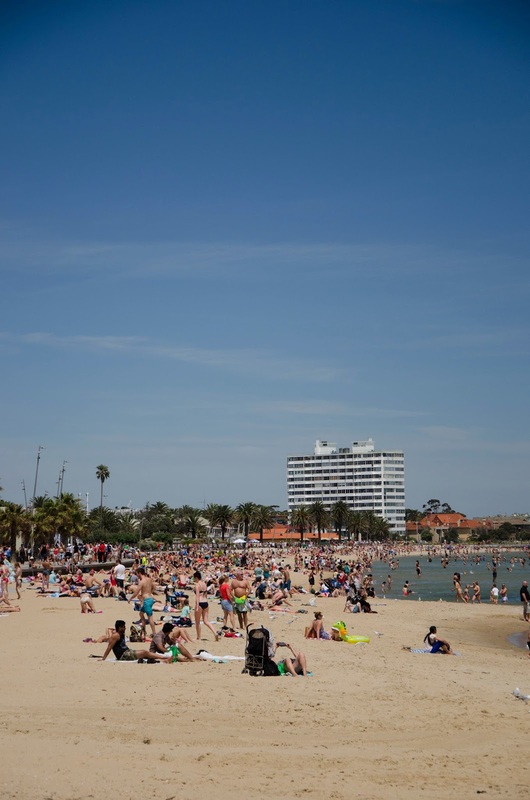 That's why I couldn't miss going to the famous St. Kilda beach in Melbourne. 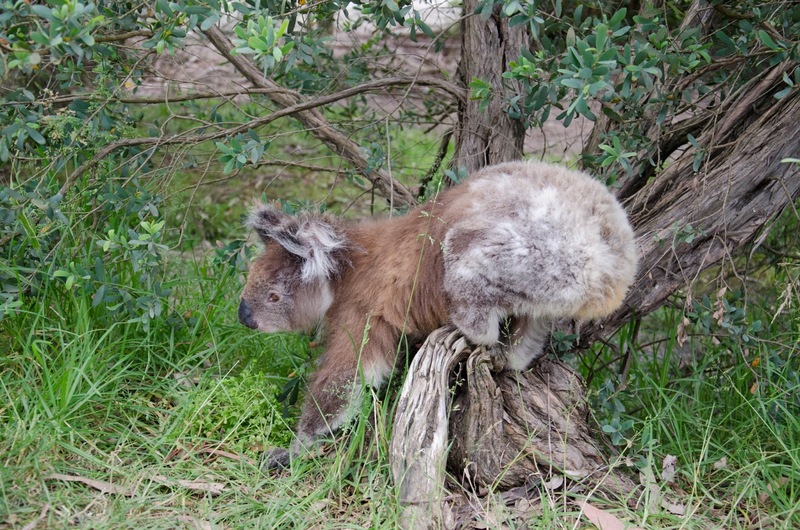 One of the reasons why I came to Australia was to see the kangaroos and koalas. They are one of my favourite animals (I also love hippos), so a trip to Oz wouldn't be complete without spotting a skippy, or a sleepy, gumtree eating cute bear. 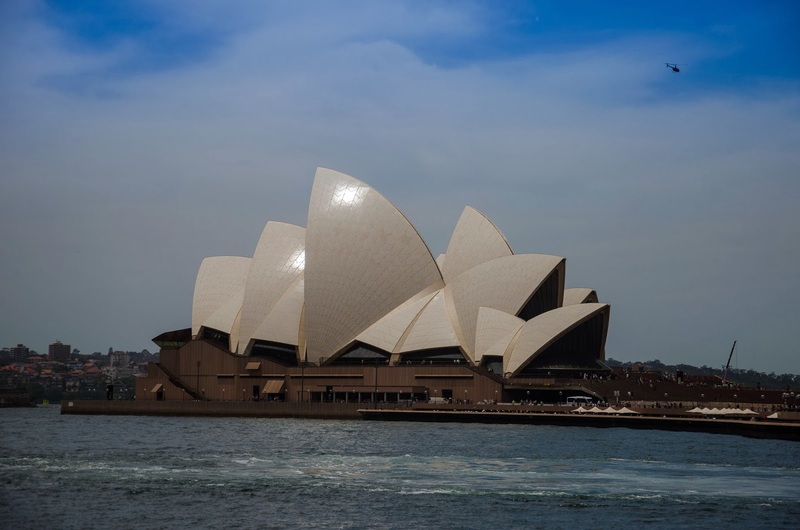 I imagined I would go to the zoo, or make a one day trip to the Philip Island outside of Melbourne, where you can see koalas in the conservation centre.